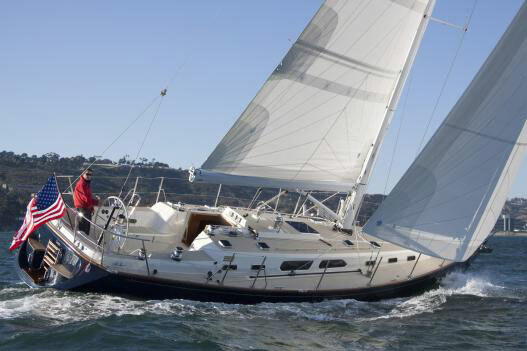 Safety, toughness and dependability are watch words for the Westsail, a vessel made for world cruising. This vessel, a proven circumnavigator, has been beautifully maintained with many refinements and upgrades. Recently painted hull and deck plus new teak caprails have reinforced her being the prettiest boat in the anchorage. 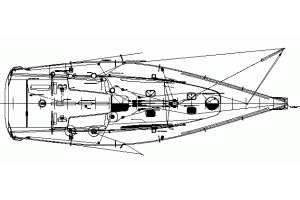 Many important offshore features such SSB, watermaker, radar, self-steering, liferaft, etc. Ready for blue water cruising. 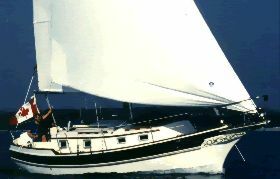 Fiberglass monohull, Westsail 32 type, built in 1976 by Westsail, after the norwegian naval architect Collin Archer's design. Renowned sailboat, for her sturdiness, built to sail cold seas. Sister ships have won the Pacific Cup and famous for surviving the "Perfect Storm". The finish of the inside arrangements and quality of the woodworks make her a pleasant and comfortable boat. Main panels of mahogany, trimmed in teak. 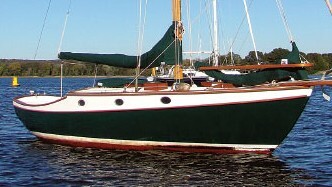 Her current owners have been living and sailing her for 31 years. Very well maintained. Forestay, backstay, main shrouds all upgraded to 8mm (from 7mm), 2010. House bank – 4 x 6V "golf cart" batteries providing 450Amp-hours. New in August 2017. ELECTROMAXX 100Amp marine alternator new in 2017 with a BALMAR controller (new spares for both). A serpentine pulley system was installed for the alternator to handle the extra load while avoiding excessive bearing wear. Stainless steel frames solar panels: 1 x 140W and 1 x 100W panel. New in 2012. AEROGEN 6 wind generator on a very heavily built, with permanent magnet generator, 50mm stainless mast which stood up fine in fifty knot winds. Dump load controller by XANTREX C60. Any over load is transferred to two large resistors in the engine room. One of the world’s best known cruising sail boats. As a circumnavigator, the Westsail has proven herself countless times to be tough and reliable but also to be a beautiful vessel perfectly suited to cruising with a couple aboard. 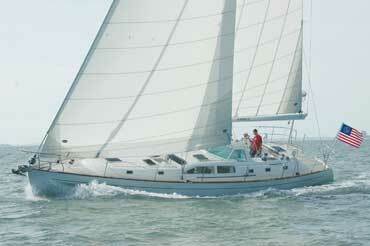 Carefully maintained and sailed by her owners for 31 years. Ready for serious sailing. The owner having circumnavigated has written convincingly about why French Polynesia is the best trade winds based cruising grounds on earth. 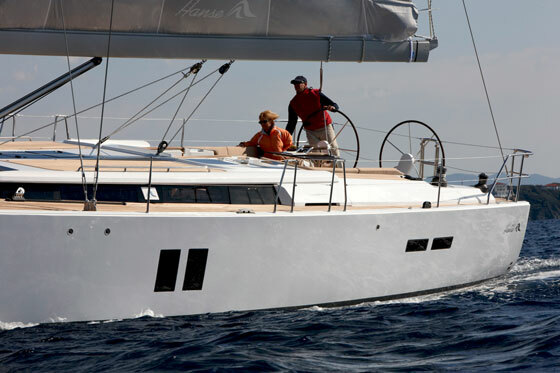 Please, contact Raiatea Yacht for more info on this vessel and Westsails.